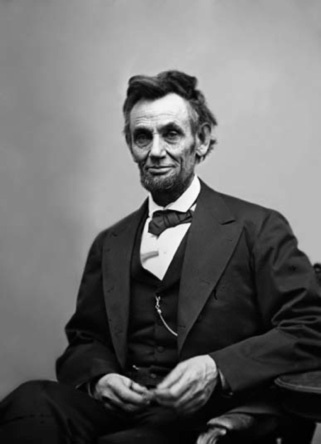 This is Lincoln’s last portrait, purportedly taken on April 10, 1865—one week before his assassination. It’s also one of the few portraits that shows Lincoln grinning. Photo by Alexander Gardner. 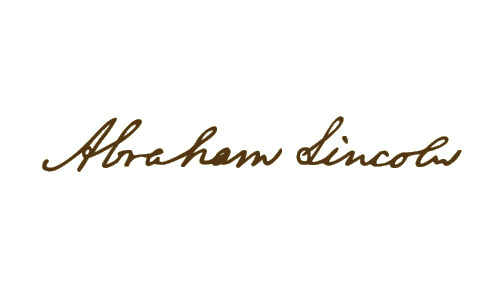 Not true: Some historians argue that Lincoln did not really want to free the slaves. Some historians argue that Lincoln’s perspective “evolved,” and he eventually decided that freeing the slaves was the right thing to do. The issue of slavery became the central preoccupation of the US government during the mid-19th century. With Lincoln’s election, war was assured and the South seceded. Lincoln’s first priority, as he properly concluded, was for him to restore the Union. He did that. He also worked strenuously to pass the Emancipation Proclamation. He overcame remarkable opposition from every side, and did, in fact, free the slaves. Sometimes the simple explanation is correct: Lincoln freed the slaves as quickly as he could. True: Lincoln gave his father all of his income until he was 21. In later life, he often loaned his father money. Lincoln received a patent in 1849 for a flotation device to move boats in shallow water. The patent was never commercialized, but he is the only President to hold a patent. Lincoln was the first bearded President. West Virginia and Nevada joined the Union during Lincoln’s Presidency. Lincoln refused to change the US flag during the Civil War, believing that the secession was, in fact, illegal, and the southern states should therefore still be represented on the flag. Abraham Lincoln used to walk alone at night to the War Department to find out news about the Civil War. Abraham Lincoln was known to beg or borrow books to read. He is often remembered for educating himself by candlelight at an early age. In any event, he was always reading. Later, he applied his self-taught reading habits as a lawyer, legislator and President. He often read aloud because he liked to hear the words. Lincoln was the first President to be assassinated. Historians generally rank Lincoln as the most effective President. Washington is generally ranked # 2, and Franklin Roosevelt # 3. 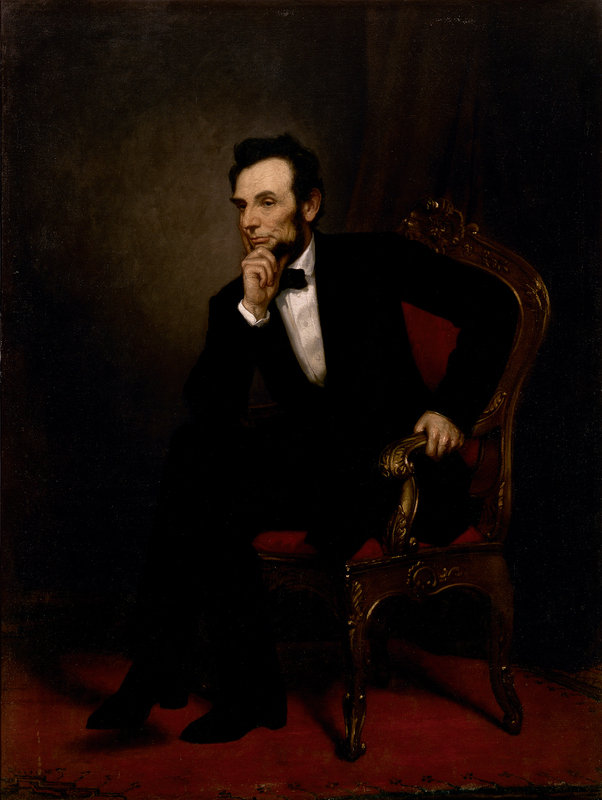 The Official Portrait: Lincoln sat for various artists while in office, but the official White House Portrait was painted after his death. In 1869, Congress decided to have a competition for a painting of Lincoln, with the incoming President to select the winner. Ulysses S Grant won the election, and his choice was a portrait by William Cogswell. George Healy also entered the competition, but his painting was not the President’s choice. Robert Todd Lincoln purchased Healy’s painting, commenting, “I have never seen a portrait of my father which is to be compared with it in any way.” After his death, Robert Lincoln’s widow bequeathed the Healy portrait to the White House in 1939. Today, Healy’s portrait hangs in the State Dining Room, and the Cogswell portrait is in storage. 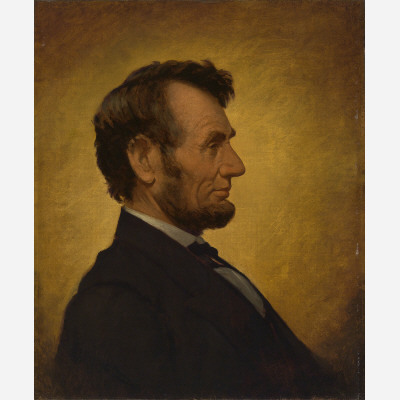 Portrait of Abraham Lincoln by George P.A. Healy, 1869. The original version of this portrait was a template for artist George P. A. Healy’s large painting The Peacemakers, depicting Lincoln in consultation with three of his main military advisers at the end of the Civil War. But Healy recognized that this made a fine portrait in its own right and eventually made three replicas, including this one. Abraham Lincoln Saved The Union, But Did He Really Free The Slaves? Millard Fillmore’s Bathtub: Abraham Lincoln, Inventor?